This post is required reading for those participating in the looming fat-loss challenge. In this post you’ll learn why a calorie is *Not* just a calorie and why some people seem to eat whatever they want without gaining a pound, while others have to train very diligently just to maintain a normal physique. This information will be a foundation for laying out our nutritional framework. If you went to the movies this past weekend, or the grocery store today, or the mall, or even to Heyday, you’ll have noticed the vast diversity in people. Not just cultural or racial diversity but in our physical makeup. People are tall, short, skinny, muscular, overweight and average. And somewhere, we fall into that. We’ve all encountered people who are what’s called “hard-gainers”. They eat and eat…and eat. And yet, they fail to put on any weight remaining thin as a rail and we’re left scratching our heads as to where they put all the food. We’ve seen those genetic freaks (term used endearingly) who have never really given two thoughts to what they eat; and may not have even set foot in a weightroom but are somehow living representations of mythical Greek Gods. Sculpted, shredded and sinewy. Well, turns out it’s a little more complicated than that. Unfortunately a calorie is not just a calorie. If it were, than the 3,500 calories it takes to make a pound of fat would mean calorie cutting would be the ultimate and ideal solution. Just cut 500/day and every 7 days you’d be down a pound of fat. But, as anyone whose done some severe calorie restriction knows you will lose weight, but somehow it stops well short of depleting your fat stores. And it isn’t only the fat that goes. You make huge calorie cuts, like I said in earlier posts, and other vitally important stores in the body are lost too. So how can we make sense of the calories in, calories out thing and start to understand how fat-loss works in each of us? We can start with a concept call Somatyping and a psychologist named William Sheldon. In the 1940’s Sheldon proposed a theory that associated body-types with temperaments known a Somatyping. The psychological elements of his theories are outside the scope of this post but what he proposed about body-types is pertinent to our efforts for fat-loss. Sheldon asserted that people generally fall into 3 different body types: The Endomorph, Ectomorph, and Mesomorph. They are classified by body composition and are defined as follows (from wikipedia). Endomorph– characterized by increased fat storage, a wide waist and a large bone structure and frame, usually referred to as obese or overweight. Endomorphs are predisposed to storing fat. Ectomorph– characterized by long and thin muscles/limbs and low fat storage; usually referred to as slim. Ectomorphs are not predisposed to store fat or build muscle. Mesomorph– characterized by medium bones, solid torso, low fat levels, wide shoulders with a narrow waist; usually referred to as muscular. Mesomorphs are predisposed to build muscle but not store fat. He went on to propose that few people are pure Endomorph or Mesomorph, or Ectomorph. 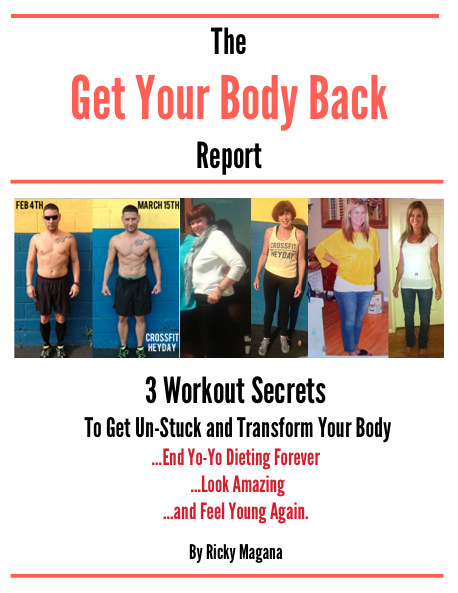 But rather, we are a combination of these body types and that the vast majority of people are a relatively equal mix of all 3 with the ability to easily put on muscle with training, or put on fat with poor diet. Sheldon created a number scale (1-7) for each body type. 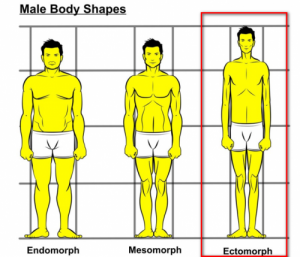 Where as 7-1-1 would be pure endomorph, 1-7-1 pure meso morph and 1-1-7 pure ectomorph. This is where the theories become highly subjective and since there is no way to “Test” for your body type there is no way to prove your body-type. And one must be careful not to look too deeply in identifying bodytype, only use it to find natural tendencies and not as a scapegoat for not taking responsibility for one’s body and health. Once we can see patterns in our body, this information is very helpful for the person who honestly wants to assess whether they are someone who is inclined to: weight-gain, stay thin, or muscularity. So that from here they can take full responsibility for where to go from here and can adopt a plan that will help them make the best of their body’s natural tendencies. This is why a one-size fits all plan is incomplete. We hear gurus tout that Carbohydrates are evil, make you fat, and low-carb is the *only* way to go. Yet, I’ve seen some people adopt this plan and its like they deflate. They become lethargic, and lose strength and muscle. Not what we want. Then I’ve seen others (myself included) follow the same low-carb plan and feel great oozing with energy and thrive on such a plan. The fact of the matter is that we respond differently to some foods and we need to account for that to make changes to our plan. The important thing is to find a good baseline nutrition plan that you can then tailor to the way your body requires. So as you read this, I know you have the wheels spinning and already have an idea as to what your body type is. Again, it you have weight to lose, it does not automatically put you into the Endomorphic category, nor does having decent muscle mass mean you’re a mesomorph. It’s a little trickier for active people because we habe interfered with our bodies tendencies to help create a body we want by design. So the question that might be more helpful is, how would your body look if you did not train? What would it gravitate towards? If you stopped exercising and surrendered any effort to eat right, what would happen? Would you drop weight and muscle overnight like an Ectomorph? Would you start to gain pounds at an alarming rate like and Endomorph? Or would you be able to maintain an athletic build and hold a decent amount muscle mass like a mesomorph? 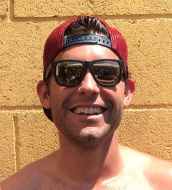 From my experience, most men can maintain most of their muscle *but* can also accumulate considerable abdominal fat with poor nutrition and a couch-surfing beer-chugging sedentary lifestyle. And most women will lose muscle and with the exception of 10-20 vanity pounds can stay relatively the same just less-defined and squishier 🙂 like an ectomorph. So if you feel like you have a good idea about your bodytype, where does one go from here? Well it’s important to know that each type has different implications for a healthy lifestyle. Ectomorphs will have to work harder for muscle but will often not struggle with fat-gain until later in their life, if at all. They need to not fool themselves into thinking they won life’s lottery with the freedom to eat without weight gain because they will still suffer the adverse effects of poor eating and lifestyle if they coast on their genetics. They will need to eat a diet that will help them build and maintain muscle mass (which is often high carb high protein) and if they Crossfit, they will need to fuel performance. A lack of exercise can result in becoming skinny fat. Mesomorphs, similar to Ectomorphs will need to eat more for health and to fuel performance than for body composition (unless they’re bodybuilding) They will need a plan that can capitalize on their genetics and make a great thing better. They generally do better on high carb and fat diets. They have more freedom in training their bodies because their bodies respond well to the stimulus of exercise. Endomorphs, have an unforgiving metabolism and must resolve to live healthy and exercise to stay lean and fit. They have less freedom with things like “cheat meals” and do well on a lower carb high-protein lifestyle. And, if persistent can look amazing all their life. Like I said, most people will have a variation of these 3 types. They will have to exercise and eat right to avoid excess body-fat and cannot simply “coast” on a fast metabolism like we all did as kids. In training people for almost 10 years it does seem that the most important nutrient to monitor for fat-loss is carbohydrates. From personal experience in myself and training people it is the one macronutrient that makes the most difference and it seems that for the most part, those that tend to gain weight easily need to add protein and reduce carbohydrates (especially sugar and refined carbs) whereas those who are naturally skinny or muscular need carbs and use it efficiently without storing it as fat (but they should also avoid sugar refined carbs). Carbs seems to be the one thing that makes or breaks an eating plan. Endomorphic people almost always respond very well to low-carb plans whereas, Ectomorphic and Mesomorphic people need at least a moderate amount to function well and thrive. So I hope this long post has been helpful in shedding light on what your body gravitates towards and you have an idea of where to go from here. Its important to note (again) that these types are *only* dispositions, they are not Destiny. No one is destined to be fat or skinny. 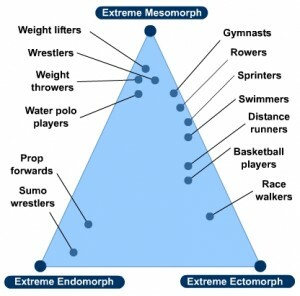 You are only disposed to put on weight more easily if you’re an endomorph or not gain if you’re an ectomorph. This is by no means an excuse for why obese people “cant” lose weight, or why skinny people “cant” gain mass, or to insinuate that people who look great have only their genetics to thank. This is only to illustrate that we all have a starting point from which to need to take into account as part of a sound eating plan. -You attitude towards your situation. Bottom line is, everyone can get there. This Saturday at 9am I will be at the gym for people who want to get measured and photographed for the Challenge before the WOD and info meeting at 11am. *Benchmark on Monday! CrossFit Total again!